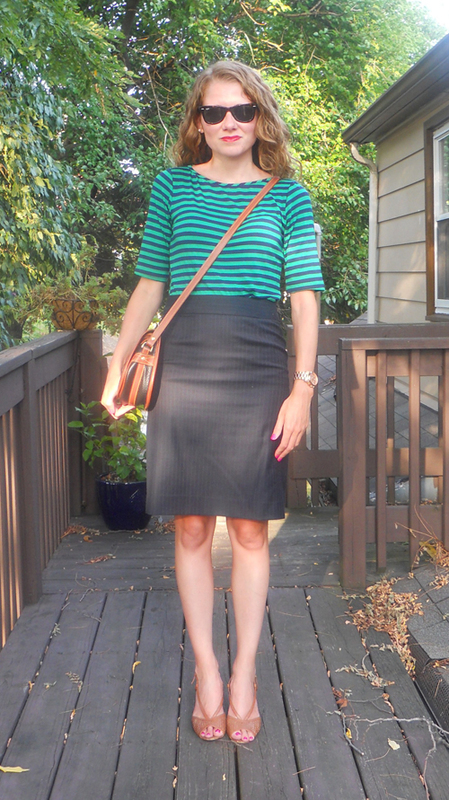 The more subdued colors of this outfit have me thinking of fall. The original inspiration came from several green and navy blue striped items in the J.Crew spring/summer lines. I found this top for $10 at TJ Maxx and purchased it with a gift card from my sister. 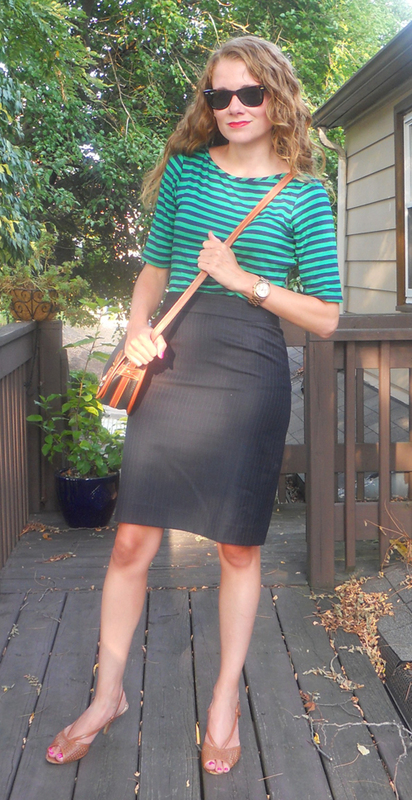 The playfulness of the stripes is such a nice contrast to the serious pencil skirt — a pin stripe one at that. I like how the mismatched stripes add to the slightly off kilter look.